There has been wide acceptance for the application of Caustic Soda (Sodium Hydroxide) for the treatment of industrial and potable waters in recent years. The use of caustic soda serves to raise the pH of well water which, untreated, is typically acidic and damaging to distribution system piping. 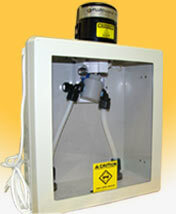 Adding caustic soda to potable water is generally accomplished using a metering pump. However, caustic soda can crystallize causing problems in pumps using check valves. Diaphragm pumps represent the most widely used caustic soda metering pumps, and typically rely on four(4) internal check valves for operation. Any crystallization of caustic soda will begin to affect the sealing of the check valves causing backflow, which will directly affect pH control accuracy. 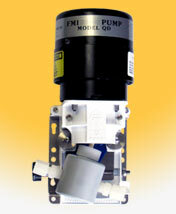 If the pumps are turned off for an extended period of time, the caustic crystals can cause valves to completely seize. As a result, the pumps need to be taken out of service and rebuilt, at considerable expense and downtime. In high demand applications, this service may be required weekly. 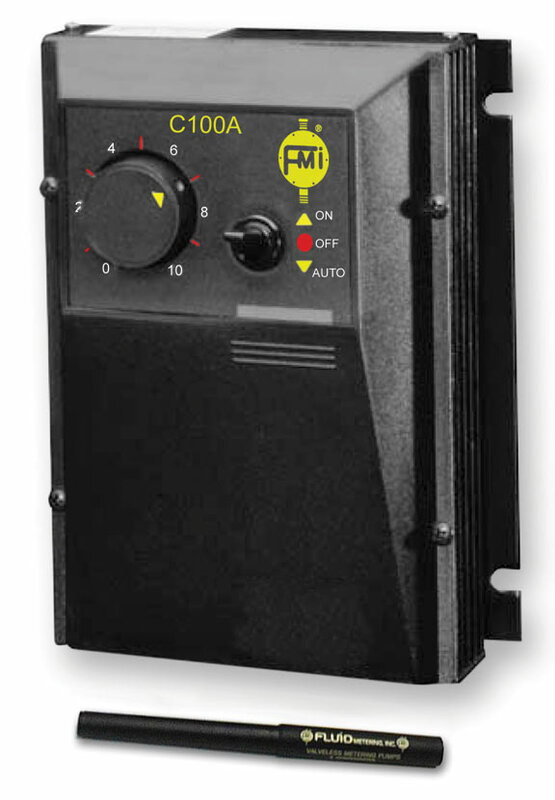 Fluid Metering’s "CTS” Valveless Chemical Treatment System uses a unique valveless piston technology. A single rotating and reciprocating ceramic piston accomplishes both the pumping and valving functions, thereby eliminating the need for check valves and the associated maintenance. Sapphire-hard internal ceramics insure that there is no degradation in accuracy over time and no need to recalibrate. At a fraction of the size and weight of pumps typically used for caustic soda and soda ash water treatment, FMI’s space-saving design measures 10” x 5” x 5”, weighs only 10 lbs, and can be wall mounted. Operating on less than 100 watts of power, the unit virtually pays for itself in energy saved, often in a few short months. Celebrating 50 years of valveless fluid control, Fluid Metering, Inc. manufactures metering systems for a variety of critical water treatment and monitoring applications. These include soda ash addition, sodium & calcium hypochlorite injection, lime addition, rhodamine dye injection and more. No loss of prime from out-gassing. Ability to prime against line pressure. Months of “no touch” service = fast payback.